Prominent & Leading Manufacturer from Ahmedabad, we offer laminated packaging pouch, flexible laminated packaging pouch, flexible packaging pouch, vacuum pouch, packaging pouch and plastic pouch. Laminated Packaging Pouch manufactured by Tilak Polypack Pvt. Ltd. is the preferred choice for major food industries worldwide. A laminated pouch that we manufacture in India ensures that the food item that is wrapped inside the package or pouch is preserved remains fresh and is free from moisture and outside contamination. These pouches are made from food grade material which is also resistant to damage and waterproof. You can pick from different shapes, sizes, thickness, and colors of laminated pouches that we have or we make it customized as per our specific client's needs. We are leading manufacturers of Flexible Laminated Packaging Pouch used mainly in the food industries. 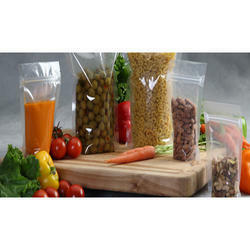 Laminated Pouches have high durability and is strong enough to ensure long shelf life of the food items inside. Also these rolls are highly used for milk and other liquid products. We also serve many industries apart from food industries and customize the rolls as per the requirement or application of your particular industry. Owing to our wide industrial expertise, we are capable of developing finest grade Flexible Packaging Pouch. We are counted amongst the preferred entities offering best in class pouches for food and drink packaging. 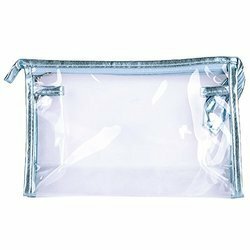 These pouches are made of flexible polypropylene film and featuring remarkable strength that is ideal for rugged use during transit. Manufactured at our highly advanced setup these pouches can be ordered with customized prints and sizes at the best price. We are reckoned as major entity actively engaged in developing high-quality Vacuum Pouch. Our offered pouches are demanded widely for its strength, clarity, and flexibility. These pouches are developed at our well-integrated setup featuring adherence to food safety norms which makes it the most trusted choice for packaging of fresh, frozen and processed foods. The offered pouches are thoughtfully designed to offer optimum convenience to store. 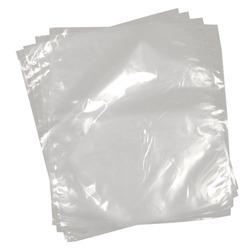 Featuring reliable zip lock option for closure our offered vacuum pouches can be ordered in standard and customized sizes from us at a leading price. We have gained prominence in the domain by providing high in demand Packaging Pouch. The technological adeptness and designing expertise of our team members earned us the proficiency to bring forth a wide range of flexible pouches that are ideal for packaging food products and cosmetic items. Finally finished with excellent grade lamination barrier these pouches offer optimum protection from heat, chemicals, and dust. Further, these high-quality pouches are made from finest grade LDPE films and finished with advanced printing techniques. 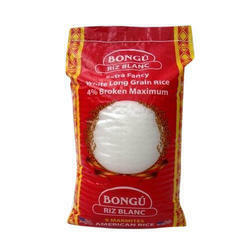 We have reckoned name engaged in developing the superior quality Plastic Pouch. 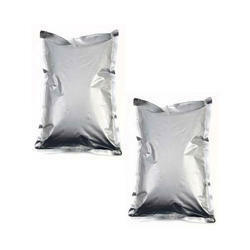 Our team members are highly expert in catering the demand for plastic pouches in varied shapes, fitments and closure. Demanded widely for safe and sturdy packaging during transit these pouches are developed from premium grade plastic masterbatch polymers. Further, we are conducting rigorous market research to procure the best-suited inventory of raw materials and to present these pouches in application-specific designs at a leading price. With the aim of attaining pinnacle success in the market, we are engaged in developing best quality Foil Pouch. 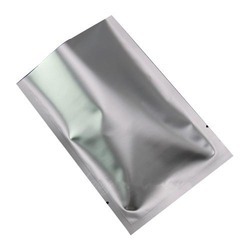 We are providing the most trusted grades of foil pouches that are suitable for fresh, frozen and dry fruit markets. The offered pouches are made from the aluminum substrate which is most trusted material for its barrier properties to keep the freshness intact. Precisely developed at our highly advanced setup these pouches can be made in customized size, fitment, and closure lock options. Further, the high performing pouches can be ordered from us at a leading price. 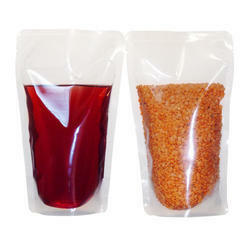 We are renowned firm developing finest grade Plain Stand Up Pouch. We present the most suited design of pouches that is used for packaging of pickles, dry fruits and spices. 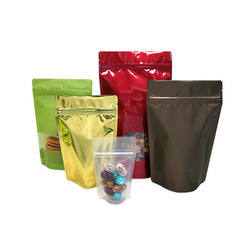 Made with highly advanced barrier lamination films at our well integrated setup, these pouches are trusted widely to improve the shelf appeal of these products. Our adherence to set industry standards enables us to present the most trusted range of standup pouches that offer superior protection from moisture and tampering. Further, our prestigious clients can avail these pouches from us at the best price in the marketplace. With the support of astute professionals, we are involved in developing best quality Transparent Pouch. These pouches are gaining wide popularity for its strength and barrier properties which make it the best suited option for packaging of fresh and frozen foods and dry fruits. Its transparent design is ideal for freezer to microwave applications. 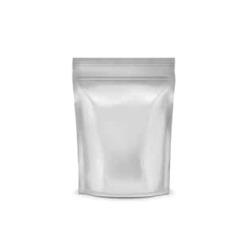 Developed from premium grade PE films these pouches come with secure zip lock closure and provision of customized sizes that can be ordered at a leading price. We are highly recognized firm instrumental in developing finest grade Printed Packaging Pouch. Owing to the next generation techniques we can meet the challenging requirements for any size, shape and graphical reproduction needs for packaging of food products. Demanded widely for our adherence to food safety norms the offered pouches are precisely finished to improve the shelf appeal. Further, we are partnered with credible vendor base and procure the finest grade raw materials to present the food grade printed pouches that are accessible at a nominal price.